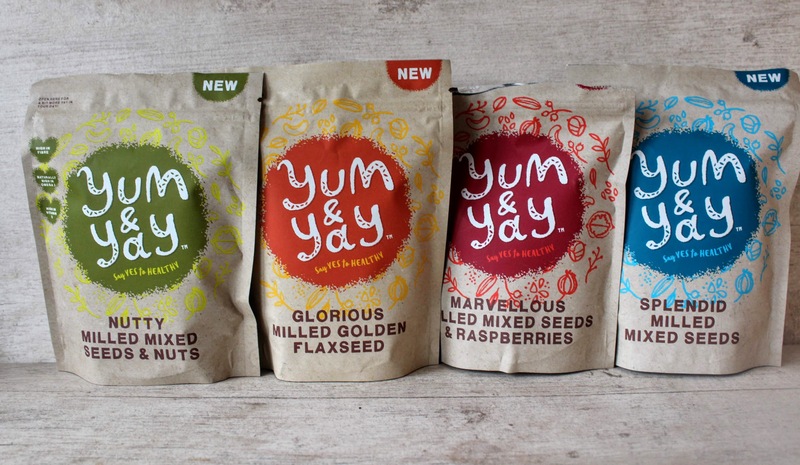 I love coming across new brands on social media and when Yum & Yay popped up on Instagram their colourful branding caught my eye. Showcasing a selection of milled seeds available in four varieties to help top up your daily intake of essential nutrients, I loved the sound of them and was excited to receive the range. 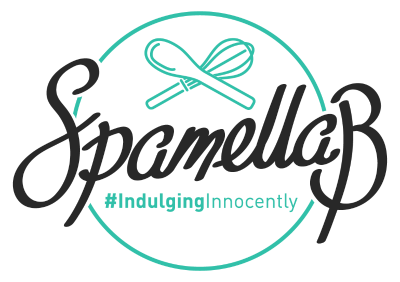 Things like this are so easy to add into all kinds of meals for that added boost which I like, and it’s something I’m keen on when I’m making Tom’s meals too, to ensure we’re all getting our goodness. Breakfast is such an important meal of the day and my favourite, so I thought I’d share something I’ve been making a lot recently. Feel free to change up the fruit – use cherries, blackberries etc and even add in chopped apple or pear for a seasonal twist. You could add cinnamon or ginger to the porridge, or try different milks like coconut and see how they go with different combos, that’s all part of the fun. 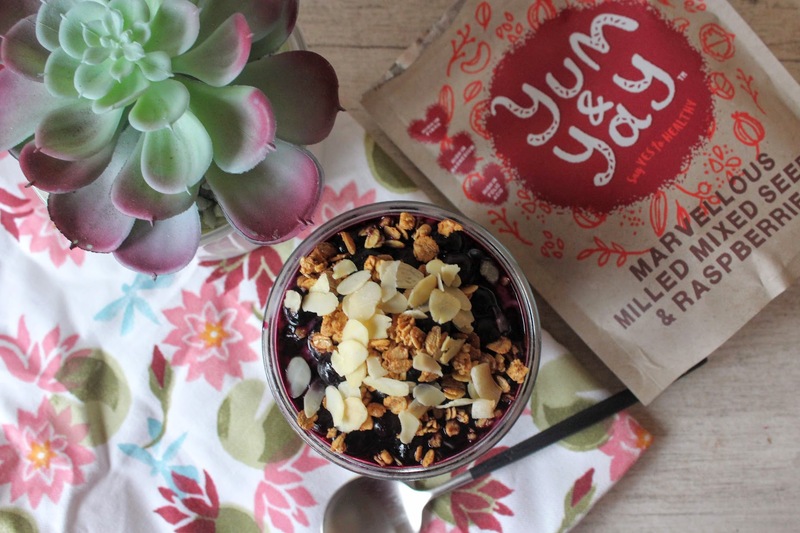 Adding the Yum & Yay milled seeds is an ideal way to incorporate these high fibre, high protein goodies – just as they say, “a small spoonful with big benefits”! Place the oats, milled seeds and milk in a pan. Gently heat and simmer for 5 minutes until you the oats have cooked and thickened. Stir in the maple syrup and vanilla. Meanwhile warm the berries and maple syrup in a pan and cook for a few minutes to allow the juices to run. 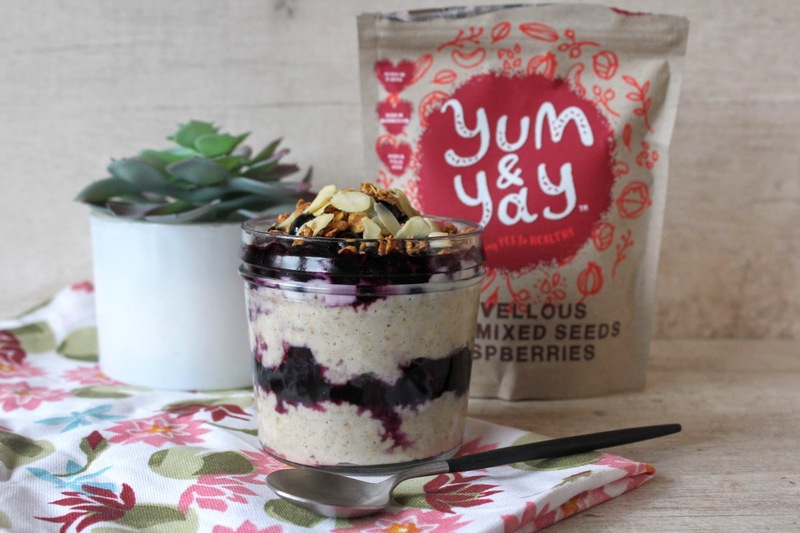 Spoon half the porridge into a jar then top with half the blueberries and their syrup. 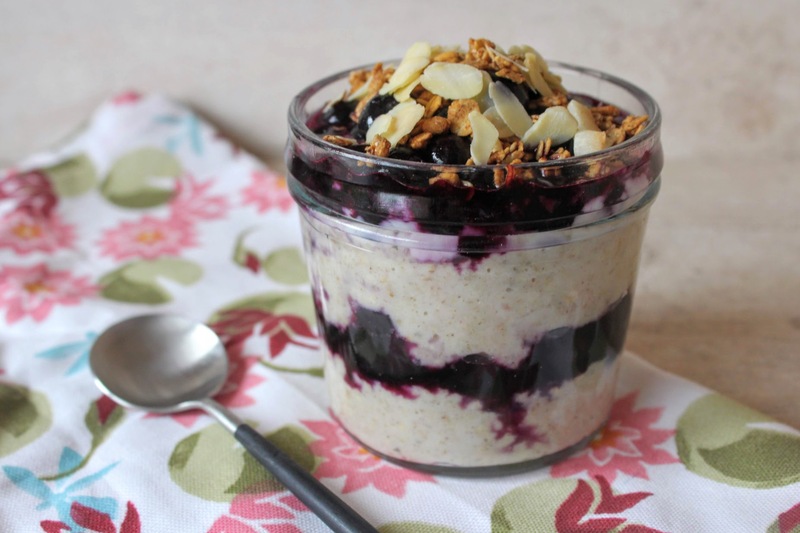 Top with remaining porridge, some yogurt and top with the blueberries, some granola and flaked almonds. Enjoy while still warm or chill in the fridge and eat cold!